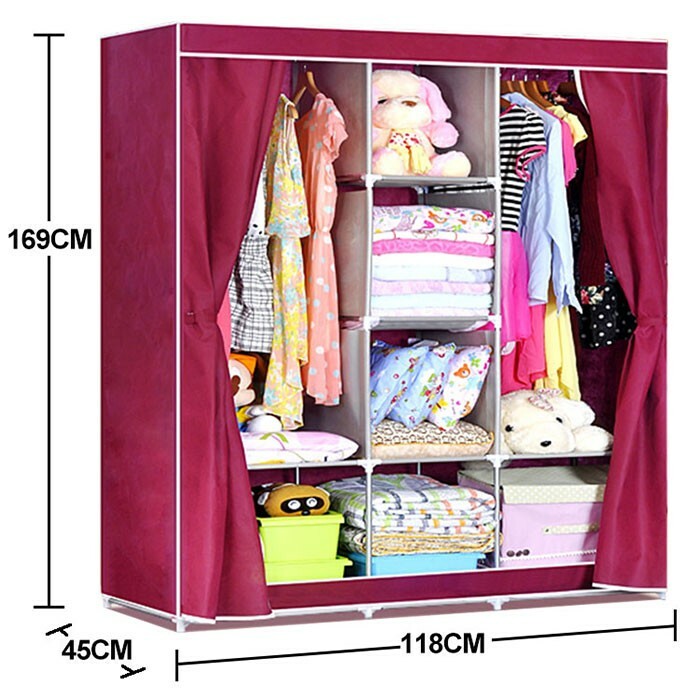 (DK-WF1611-2), this easy-to-assemble storage closet is also easily taken down for transport. Set this storage closet in a small apartment or dorm room that lacks storage space so you can stay organized. 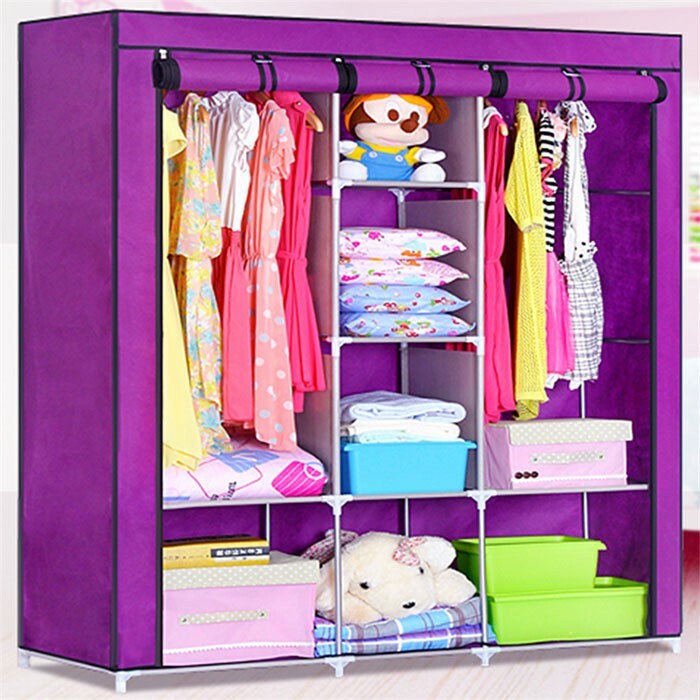 This portable storage closet has spacious shelves and a hanging rod for longer outfits. 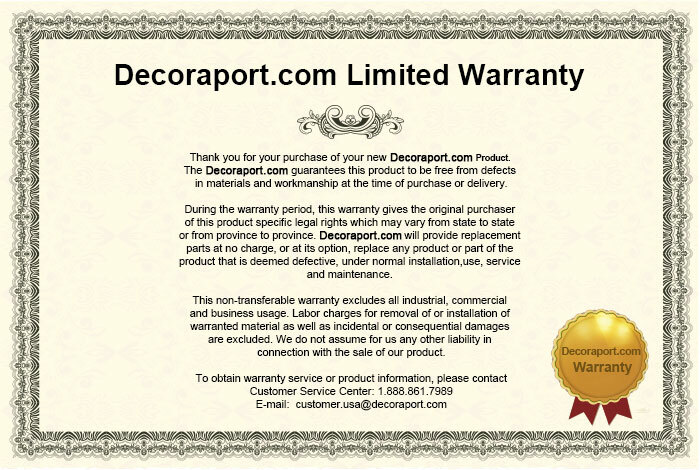 It is made of a metal frame and Non-woven fabric. 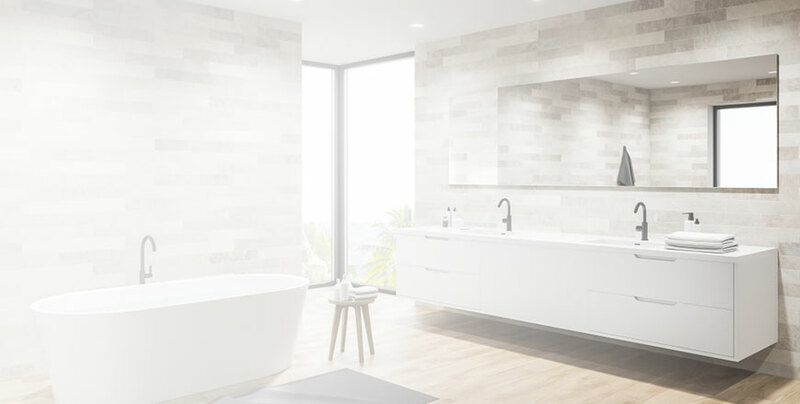 It looks great in anywhere. Door open style: Curtain door. 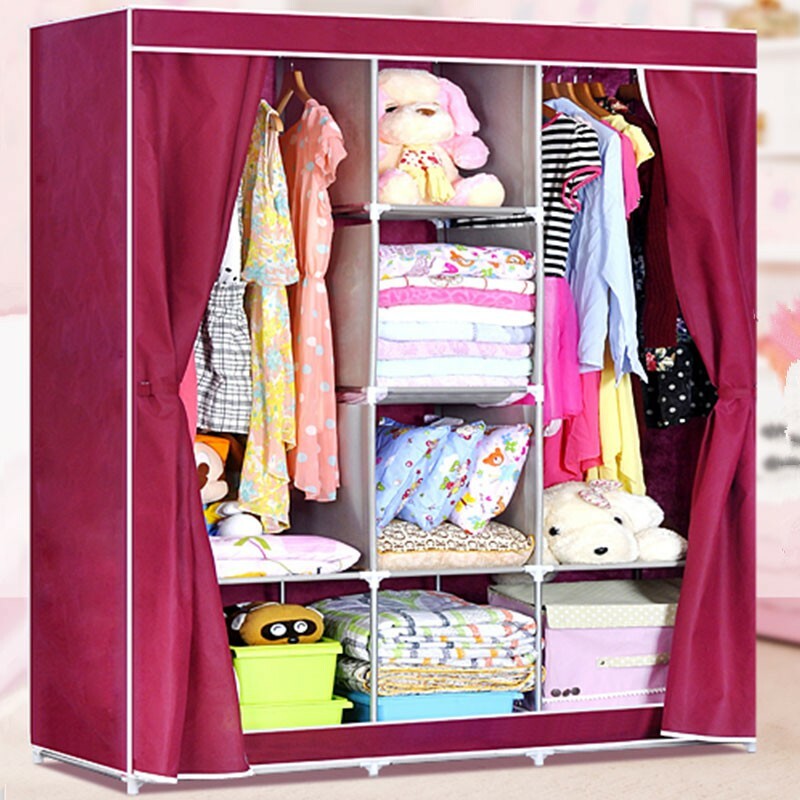 Rust-proof iron tube and polythene connector make sure the portable closet durable and anti-corrosion. 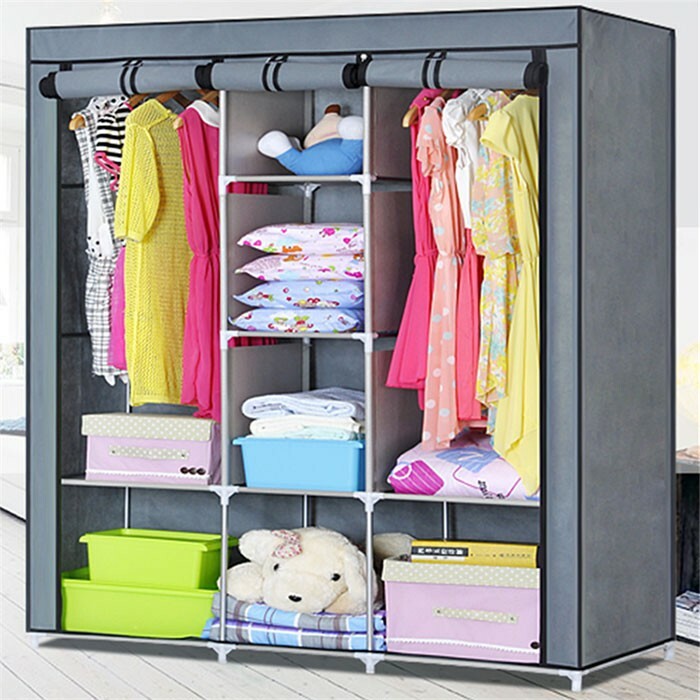 This portable closet is designated to keep your home neat and organized. Pockets on the side and shelves on each layer add more space for home supplies and accessories. 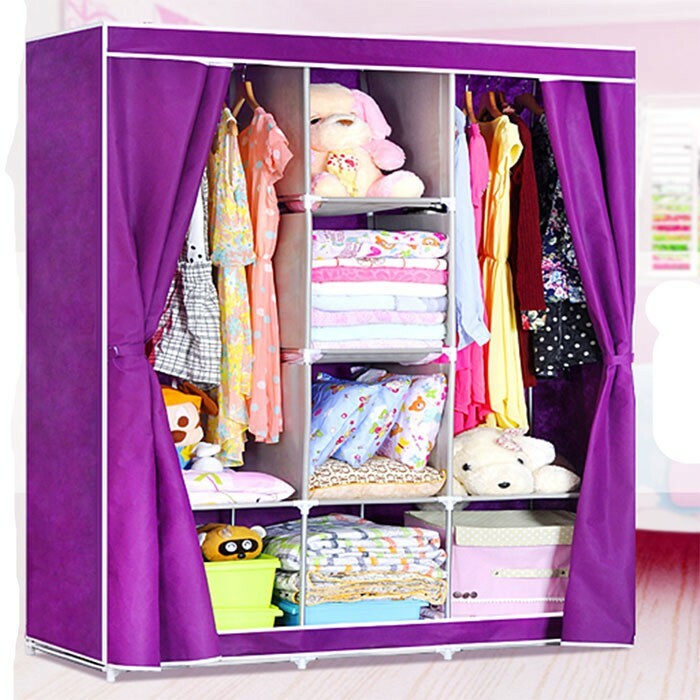 Non-woven fabric is on the surface of the potable wardrobe, which prevents musty odors. 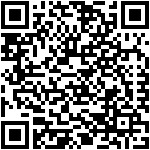 Build a closet instantly. 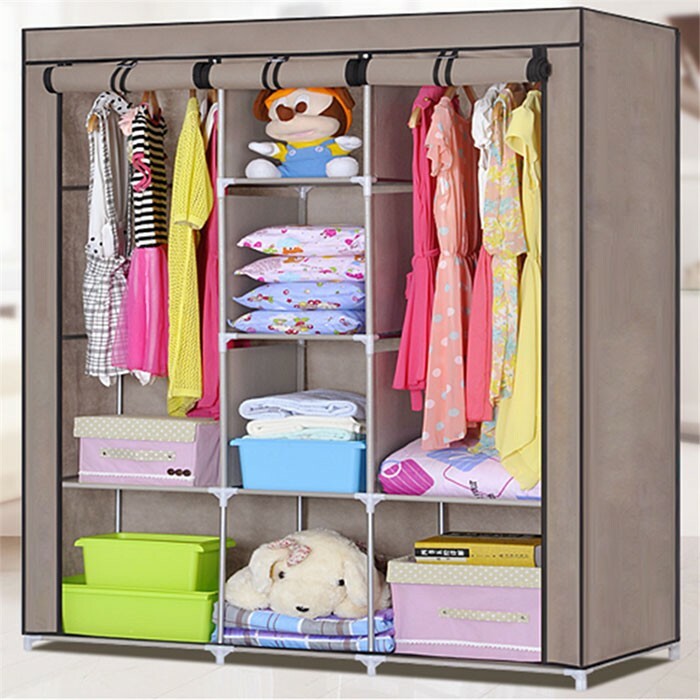 Space-saving all-in-one organizer for offices, closets and storage areas.